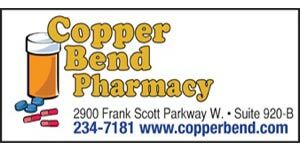 Monroe County Sheriff Neal Rohlfing is sending a message to firearm owners across the county, with the hope it reaches all the way to Springfield. With the declaration of Monroe County as a “sanctuary county,” Rohlfing has said he will not enforce any new laws passed that infringe on Second Amendment rights. Monroe County Board Chairman Bob Elmore said he wholeheartedly supports Rohfling’s intent. “We want people to understand we’re for the Second Amendment; we don’t want Springfield dictating things to us because they do plenty now,” Elmore said in an interview with KMOV News 4. Rohlfing, for his part, has said he would instead like to see the state pass meaningful legislation to fix issues in the state rather than consider knee-jerk responses to tragic incidents, creating a false-sense of security, he said. “In my opinion, none of these (bills in the Illinois Legislature) are going to create any more of a safe environment, especially in Monroe County,” he told the Belleville News-Democrat. According to information distributed by the Monroe County Board, among legislation being debated in Springfield is requiring firearms owners to be 21 years of age; a mandatory 72-hour waiting period that critics argue is complex and difficult to apply; outlawing bump stocks and trigger cranks; immediately outlawing ammunition magazines; banning the use of body armor by all but those in law enforcement; and jeopardizing the ability of small firearms dealers to operate along with creating additional bureaucratic red tape. Among the detractors of this “sanctuary county” designation is State Sen. Paul Schimpf (R-Waterloo). The Associated Press reports at least five Illinois counties have recently passed resolutions declaring themselves sanctuary counties for gun owners. Schimpf said these resolutions are “principally symbolic” and allow for people to showcase their belief that most restrictions on guns are unconstitutional. State Rep. Jerry Costello (D-Sparta), within whose jurisdiction the the World Shooting Complex is located, supports the concept of providing sanctuaries for firearms owners. “I fully support counties in their efforts to stand up against new restriction on gun owners pushed by Chicago politicians who don’t know our communities,” Costello said. • Sheriff Rohlfing provided a detailed overview of Monroe County Sheriffs Department finances during Monday’s meeting. Read next week’s paper for Rohlfing’s report. 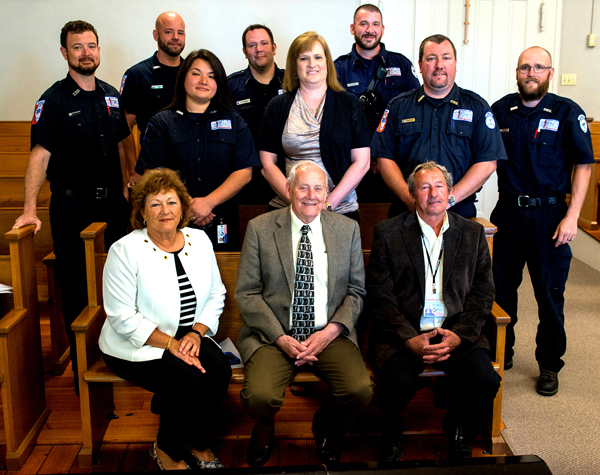 • Commissioners observed the 40th anniversary of Monroe County EMS The commissioners also approved a proclamation marking May 20-26 as EMS Week. • The Monroe County Board gave State’s Attorney Chris Hitzemann and Judge Dennis Doyle approval to hire a second probation officer. Currently, the only probation officer is Courtney Schweickhardt. The counting is applying for a grant to pay for the second officer, but it has not yet been approved.